Dave and Shannon at Coolhill Castle. Photo by Seán O’Brien. Gaining entree into a castle that’s closed to the public is a thrilling event. During our stay in Kilkenny, Dave and I visited the Office of Public Works (OPW) and borrowed the keys to Clare and Burnchurch Castles. 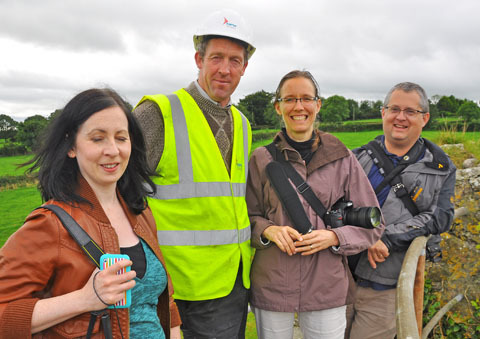 Imelda, Shannon, and Seán talk with Lima about conservation work underway at the castle. Photo by Dave Chance Photography. Since we seemed so interested, the OPW staff invited us to visit Coolhill Castle as well, which is currently under renovation. The highlight of our visit to this particular Castle was meeting a couple of photography enthusiasts (Seán O’Brien and his neighbor, Imelda Maguire) where we left our cars to head across a field to the castle. Since Dave and I had an appointment to go into the castle, we invited Seán and his Imelda to join us. Inside the castle, we all had a fun time visiting with Liam and his colleagues from the OPW who were doing conservation work there. 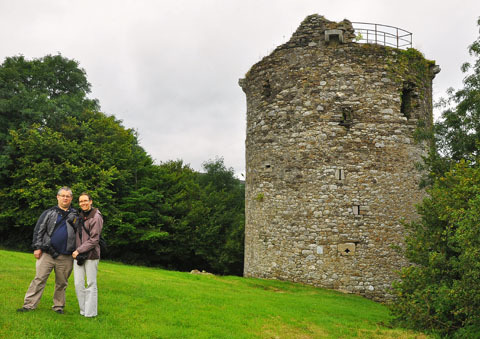 The photos I am posting from our visit to Coolhill Castle were taken by Dave Chance and Seán. You can see some of Seán’s work, Imelda’s work, and of course Dave’s work online. 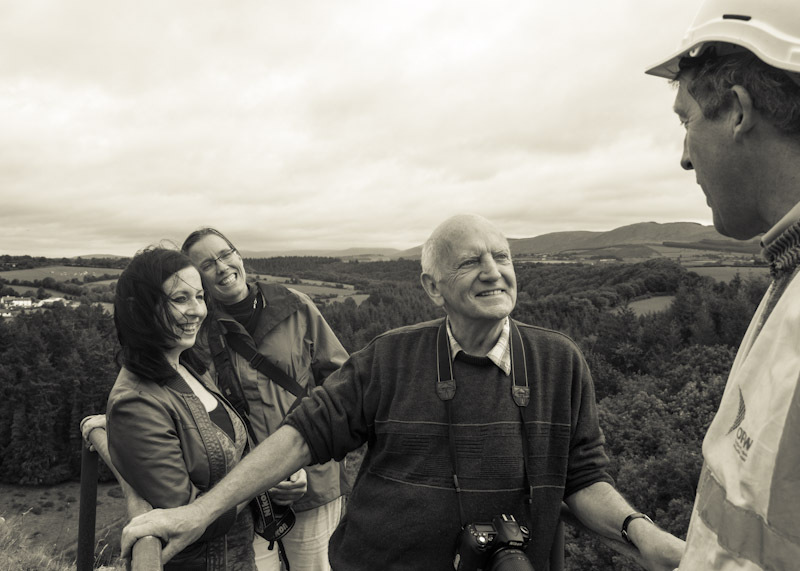 Imelda, Liam, Shannon, and Dave enjoying views of the landscape around Coolhill Castle. Photo by Seán O’Brien.